A big “Happy birthday!” to you, Sophie! Today my daughter turns 16. What a sweet, sweet girl. 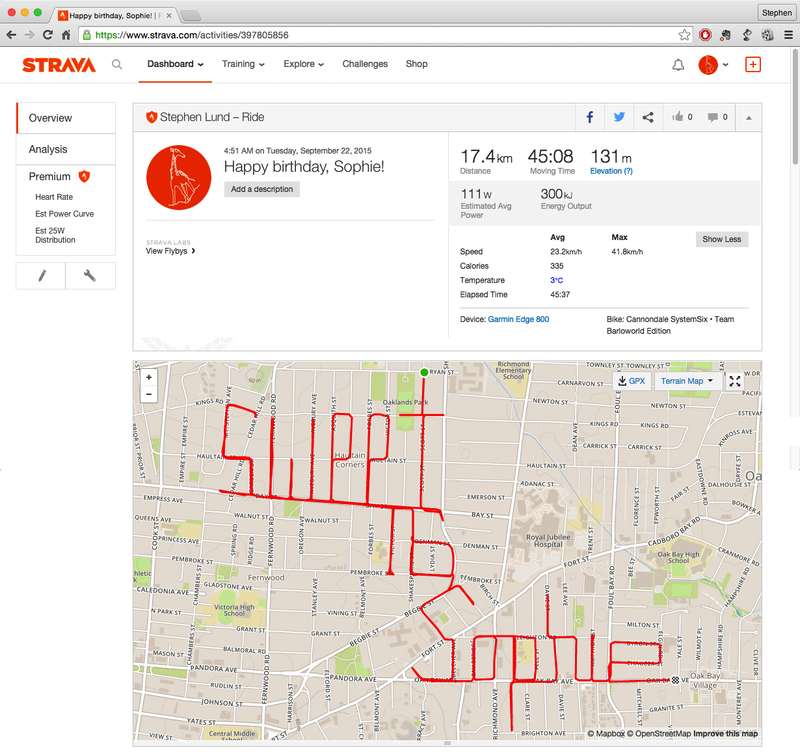 This entry was posted in bike-writing, gps art and tagged bicycle, bicycling, bike-writing, birthdays, creativity, cyclist, garmin, gps, gps art, happy birthday, strava, strava art, victoria bc. Bookmark the permalink. As impressed as a 16-year-old will ever let on! What an amazing birthday gift.